First time making these type of cookies. 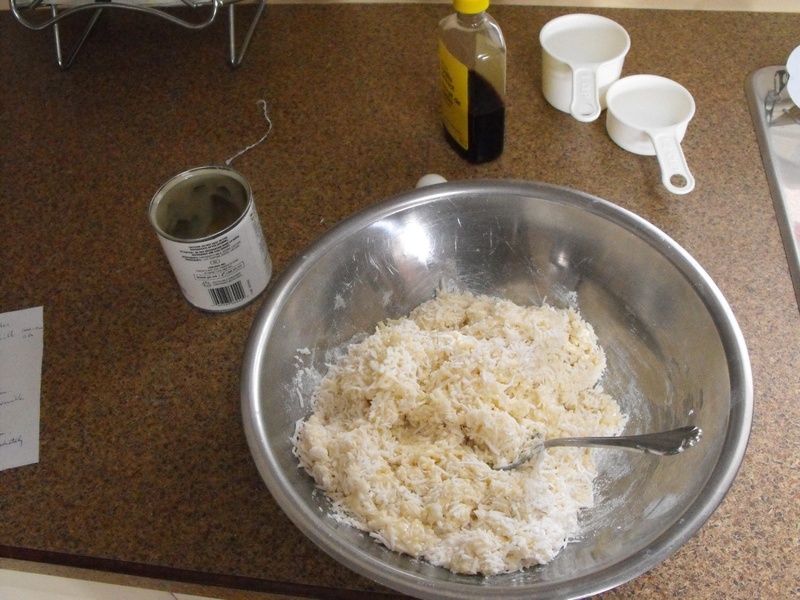 The recipe said it would make 5 dozen… well, maybe… if you were using a teaspoon to scoop the dough. But the lemon rind flavor is nice and even tastes better the next day. Worthy to make again. Chocolate and cinnamon?? Yes, I questioned it too. On top of that, there’s also raisins and walnuts. Ok, I’m game to try anything. I mean, if the recipe author took the time to put it in their book, they must think a lot of it. This is the 4th recipe I discovered today to make use of that liter of buttermilk. So you like the flavor of toffee but don’t have toffee chips to add? No worries, try this recipe out. This is the third of 4 recipes that were new-to-me to try out and to use use of the liter of buttermilk that was in the fridge. The dear wife made some fudge, peanut butter and chocolate chips. I love sweets and I like fudge but only in small amounts. There’s a lot of sugar packed into a little square!